The conspiracy theory of ‘bad’ traffic and fee hike. 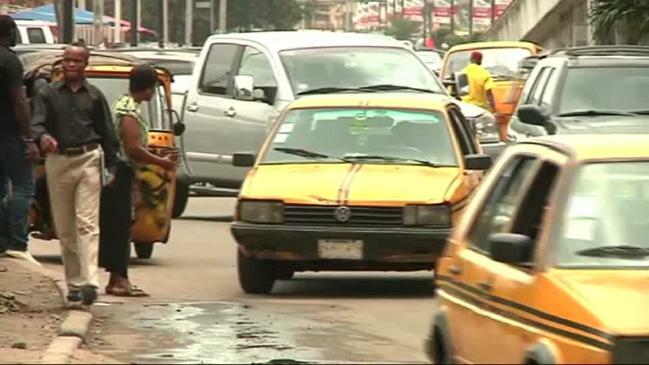 Passenger 2: one cannot budget for transportation in Lagos o, else one risk getting stranded. Passenger 4: what will ATM do for you? Will you give the driver ATM or what? Driver: can you do the work I’m doing…All those people ‘eating our money’, after they have coveted and done the havoc (mentioning pensioners as the worst hit) they go to church and start to sing “mo fe ki n da bi Jesu” (I want to be like Jesus) and mosque to say “Allah akbar “. We all bursted into laughter. He went further “Ghana as a people brought themselves together and built their country” we are our own enemy! Diverting his attention, one of us chipped in “if there is no traffic on the way as expected, we will get a refund of 50naira o”. Driver replied “Owo ti lo o” (that is a tall order). That means you also “chop” money be that, I said. No o I did not use biro, I used service he supplied. As envisaged by the agbero, the car ‘coughed’ but Baba was able to resuscitate his old, rugged Peugeot 505. And for the records, there was bearable traffic on our path. One of us supplied that she noticed overtime that the price gets hiked when it rains because the drivers and their cohorts know that passengers are always in a rush to get home.